Okay, it was right here ... just a minute ago. Maybe Jon Cooper left it in his other pants. Maybe it rolled beneath the couch. Maybe someone forgot to pack it. Whatever happened, the Tampa Bay Lighting's mojo is missing. The Lightning opened the season half of their season Wednesday night with a nice-sized splat, losing a 4-2 game to the Pittsburgh Penguins. The Pens scored three times in the game's first 10 minutes, all on just five shots. 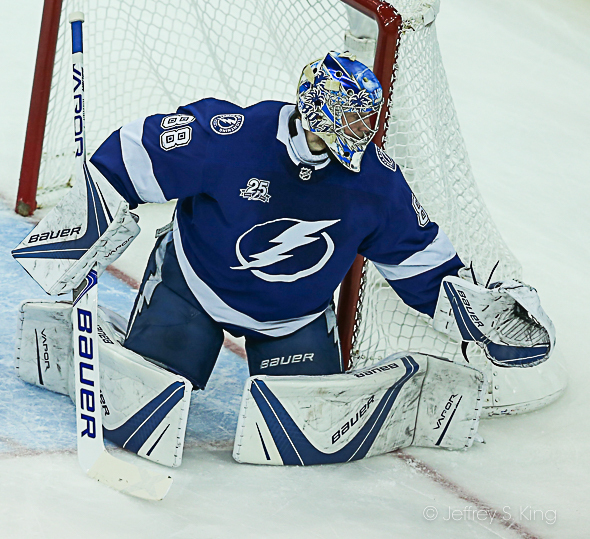 The stat line for goaltender Andrei Vasilevskiy after one period: he had stopped two shots, and he had let in three. For the Bolts, it was something of a warning shot regarding what the rest of the season might look light as play tightens. It was the team's third loss in five games, an eye-raising number for a team that has lost only 11 all season. The Bolts fell behind 4-0 (on eight shots) in the second period. J.T. Miller and Steven Stamkos scored in the last 4:10 to make the final score closer. “It’s tough when you’re coming out of a long break like that and you’re in a NHL game and playing against a really good team," Lightning coach Jon Cooper said. "I thought we actually had a really good first period. We made three mistakes, and they all end up in our net. The Bolts are still 37-11-2 and have the NHL's best record. 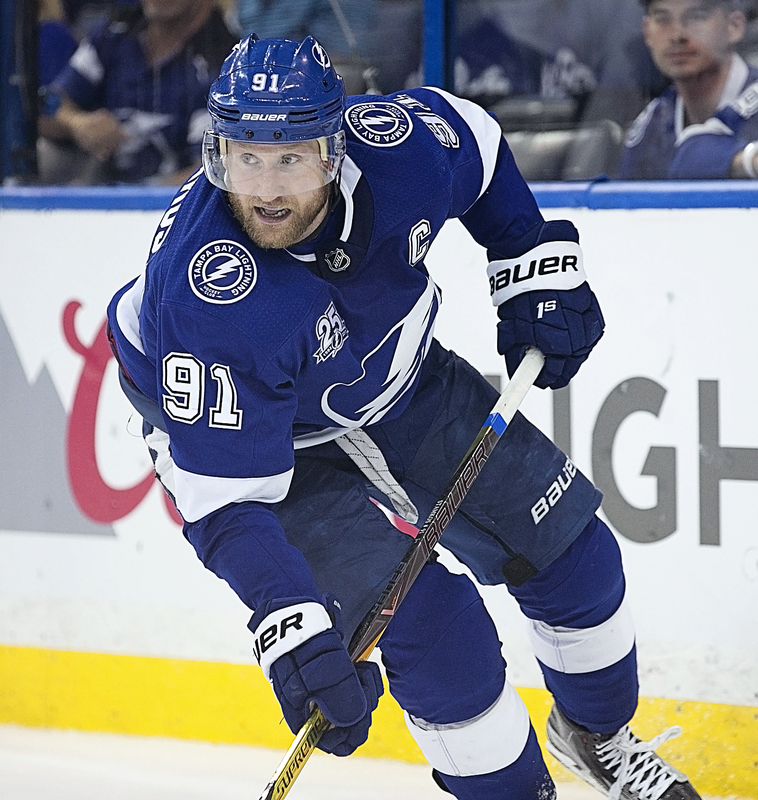 Stamkos thought the Bolts deserved a better fate in the first period. “You look at the first period, it was what, 16-5 in shots?" said Stamkos. "They had three power plays, the 5-on-3, it just wasn’t the start we wanted coming back from a 10-day layoff. A little sloppy, which we were trying to avoid, but it’s inevitable when you haven’t played in that amount of time. Stamkos said it wasn't the kind of game the Bolts wanted after a long break. Brayden Point said the team's turnovers contributed to their poor first period. “Tough turnovers, the first three," Point said. "Obviously mine was a bit of a backbreaker early…I thought we skated decently well for coming out of the break. I think just timing’s a little bit off, puck skills are just a little bit off, so hopefully we get that out of our system. Point said the margin of error is tightening in the league. Ryan McDonagh said the result might have been different if the team had been able to score in the first period. "It would have been nice to get rewarded with one and keep it close," McDonagh said. "But we were pretty positive in the fact that we killed off a big 5-on-3 and really kept us in the game there. We had a positive attitude even though being down three. The Lightning continue their three-game road trip Friday night when they take on the New York Islanders at Nassau Veterans Memorial Coliseum. The puck drops at 7 p.m. Previous post: Which play best defines Tampa Bay? Next post: How much shattered faith is due to Goodell?